And now we come to the end. Or the beginning. At any rate, it’s Sherlock Holme’s 161st birthday, and cause for celebration if there ever was one! 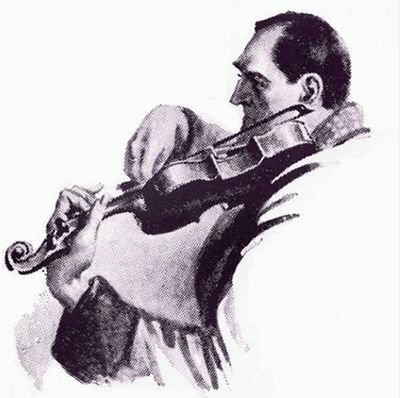 Name two facts about Sherlock Holmes’ family, friends, or early life, and tell us where you found them. Because the Great Detective is so reticent, and because Watson seems more interested in the details of women’s clothing and loving descriptions of landscapes than in discussing his own family matters, we are duty-bound to uncover their personal information ourselves. 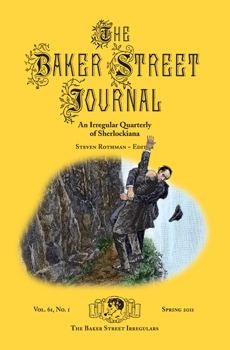 Some might call this “stalking.” We prefer to call it “Scholarship,” and much of the best of it can be found between the covers of the Baker Street Journal. So, once again, this year’s Grand Prize is a subscription to the venerable BSJ, for two winners. Just take a quick break from your birthday parties and send your answers via blog comment, FaceBook PM, or Twitter DM. As always, thanks so much for playing this year’s Giveaway, whether you played for the prizes or just loved to display you brilliance–and you are all very, very brilliant. Today is also the third anniversary of this blog. I’ve learned a lot, both about reviewing and about Sherlock Holmes through keeping it–from reading, writing, and conversations we’ve shared. I value so very much those connections, and I hope I’ve been helpful and occasionally entertaining. God willing, this year will be our best yet–but not the best ever. The best, one always hopes, is still to come. And now, in the immortal words of Mycroft Holmes, at least according to Tumblr….. Comments Off on Happy Birthday, Sherlock Holmes!